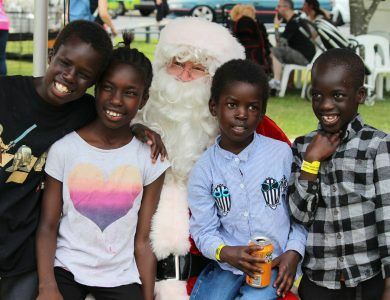 The Challenge School Holiday Program hosts a variety of activities that aim to keep our Challenge members busy and entertained over the holiday period. From cooking classes to water sports, the program caters to the interests of all age groups ensuring that no one is excluded. Hamilton Camp is offered to our members between 8-12 years of age and immerses these children in the rustic settings of the Hamilton community. 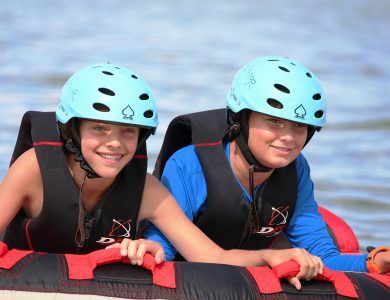 The camp offers children the chance to enjoy an array of different activities while also creating new and supportive friendships in children facing similar circumstances. 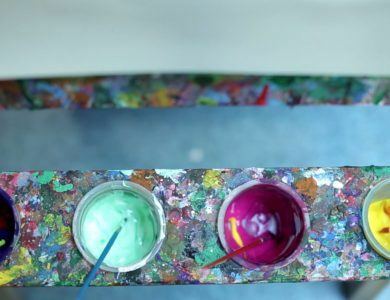 The Challenge Art Therapy program fosters a safe and supportive environment where difficult thoughts and feelings - often associated with cancer - can be expressed in a creative and non-verbal way. 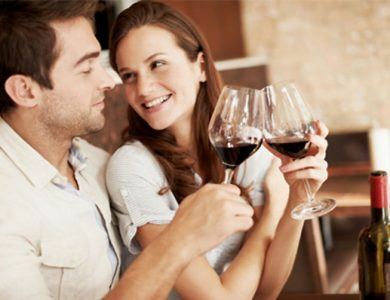 Challenge offers the opportunity for parents to enjoy a night out together through our ‘Date Night’ program. Each year, Challenge welcome all of our members to join us for what is our biggest and most exciting event - The Challenge Christmas Party! From dusk to dawn movies, an indoor jumping castle and arcade games, this is every kids dream. Don’t expect to get any sleep! Teen nights are for our teenage members to be able to ‘hang out’ with others their own age going through similar experiences. Challenge aims to assist our families in their cancer journey by organising ticketing to various entertainment, sporting and cultural events throughout Melbourne. 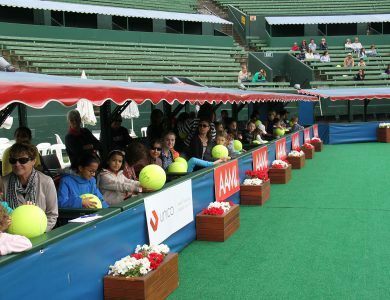 Thanks to close associations with promoters and venues, we are able to provide our families with experiences away from cancer and treatment. 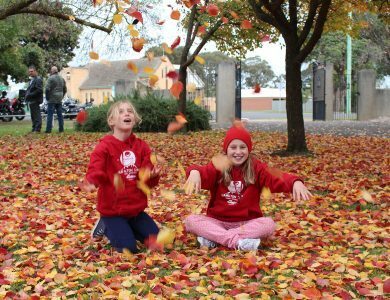 The Cohuna Camp, offered to children between 8-12 years of age, is a weekend getaway from the chaos of urban life and the chance to experience the quiet serenity of life in rural Victoria. From fishing to buggy racing, for everyone, the Cohuna Camp creates opportunity for an enjoyable time. 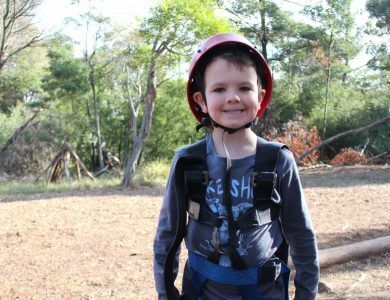 Each year, the Challenge Junior Camp sees over 50 smiling kids, aged 4-7, pack their bags and set off to Mt Eliza, for what is guaranteed to be a night of activities and adventures. 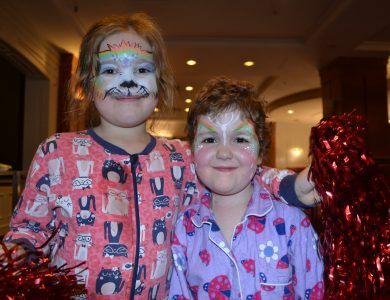 Junior Camp aims to restore a sense of normality in the lives of sick kids, through providing them with an opportunity to play happily and freely, and simply allowing them to just be kids. 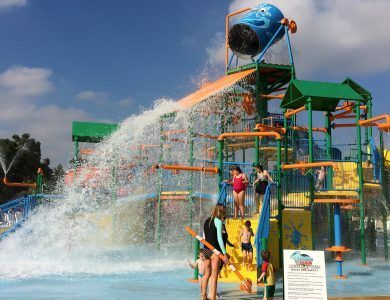 For our members aged between 10-14 years of age, Summer Camp provides these kids the chance to escape the fearsome Melbourne heat with some refreshing and fun water-based activities. The camp is a Challenge favourite and allows our members to temporarily escape the hardships of cancer and treatment. 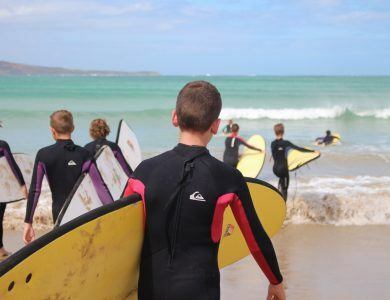 The Trevor Barker Surf Camp is exclusively offered to our teenage members and is held annually in Lorne. The weekend is a fantastic opportunity for these campers to catch some waves and build their confidence away from the trying times of treatment. 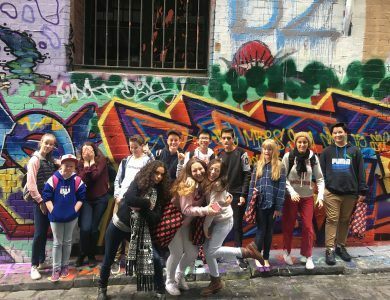 The Challenge Urban Camp welcomes members between the ages of 8-12 years, to see and experience the world’s most liveable city like never before. Urban Camp is an incredibly enriching experience for these kids and allows them to truly appreciate the incredible city in which we live. 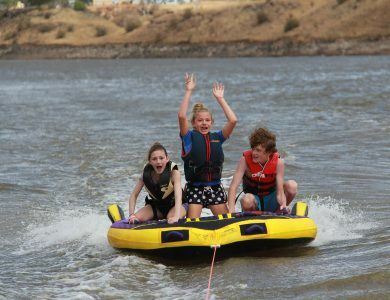 Waterskills Camp is available to our members between 13-18 years of age, and is a camp that aims to nurture their confidence and self-esteem through a variety of different water-based activities along the iconic Murray River. 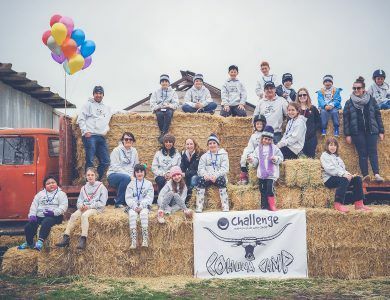 The Challenge Cops & Kids Camp provides an extremely unique opportunity for our younger Challenge members and their siblings to get away for four adventure-packed days in November each year. 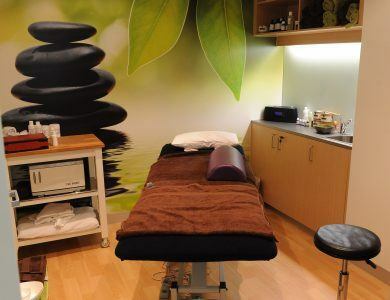 Challenge offers massage therapy at the Challenge Family Centre, which is aimed at helping ease the stress from caring for a child with cancer and long-term hospital stays. 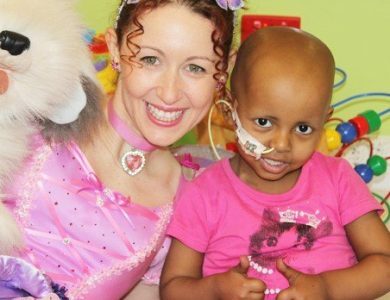 Challenge recognises music can be a great source of enjoyment and comfort for children during their treatment, particularly in times of isolation. 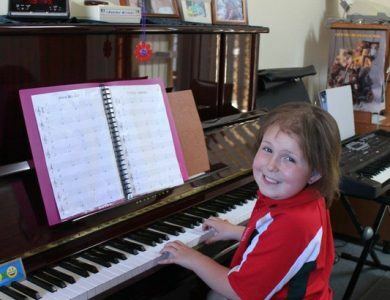 Our music therapy program uses a range of techniques to boost a child’s confidence and offers a fantastic way for them to express how they are feeling about what’s happening to them. Every Wednesday, the Challenge Family Centre opens its doors to its members aged between 2-5 for playgroup. 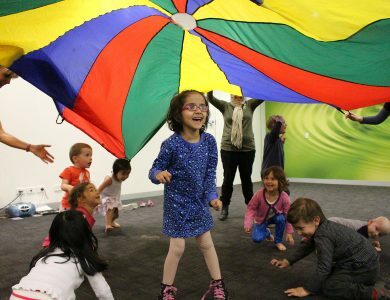 Our playgroup sessions are hosted by a fully qualified early childhood development teacher and give these kids the opportunity to have some fun, smile, and enjoy being kids. 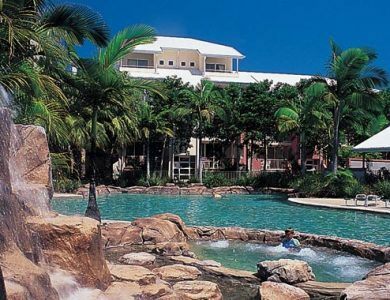 Beautiful one day, perfect the next, located in Broadbeach on the Gold Coast, this 4-star resort has it all. 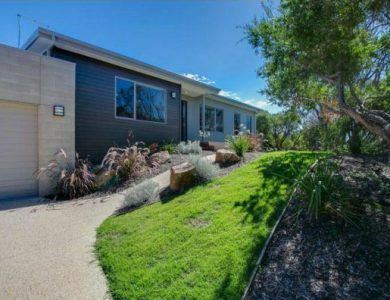 A fully self-contained cottage with a beautiful ambience, a memorial garden and swing set outside; a wonderful haven for families to regenerate and have some time away. 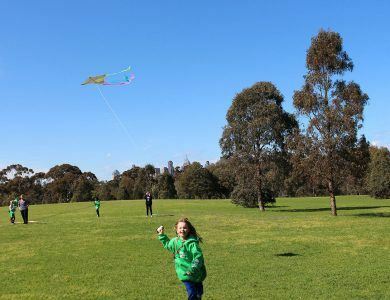 Located an hour and a half from the centre of Melbourne, Trevor Barker House provides Challenge families with a perfect and picturesque getaway! 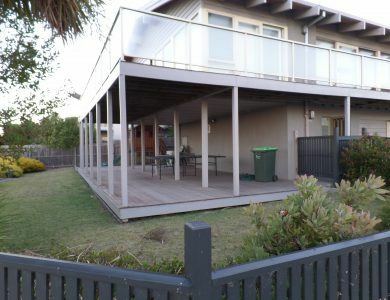 Located in close proximity to some of the best beaches the Mornington Peninsula has to offer, the accommodation facility provides a perfect family getaway, as well as being easily accessible to beaches, cafes, and other activities. The Challenge Hospital Support program helps to make life a little brighter for those spending time in hospital. 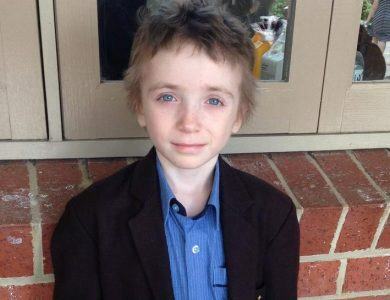 In the difficult circumstances of losing a child to cancer, Challenge has established a bereavement support program to assist grieving families. 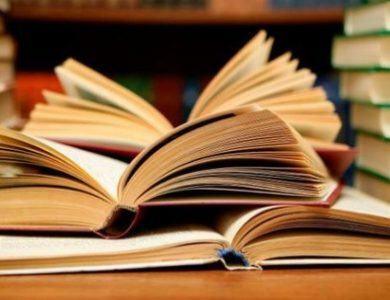 The program hosts a variety of different activities, which help our bereaved families to build an external support network during these difficult times. 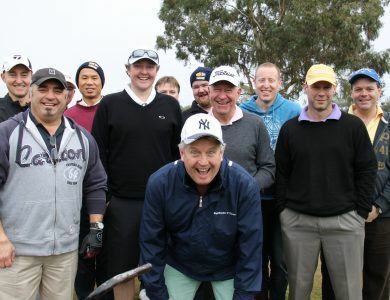 The Dads’ Ultimate Challenge Club (DUC Club) was created as a way for Challenge dads to get together in a relaxed environment, where they can share a laugh and have a good time with other dads travelling a similar path. 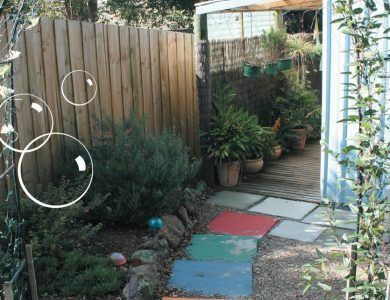 Home Help is one of Challenge’s programs that aims to minimise some of the stress and pressure associated with having a child with cancer by attending to the dreaded, but necessary household duties. 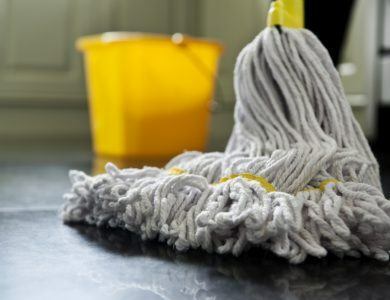 The service offers up to six hours of in-home cleaning to ensure that our parents can focus their energy towards the welfare of their children. Women for Challenge is a program established to support our mothers, allowing them to create a community and body of support in other women travelling similar journeys. 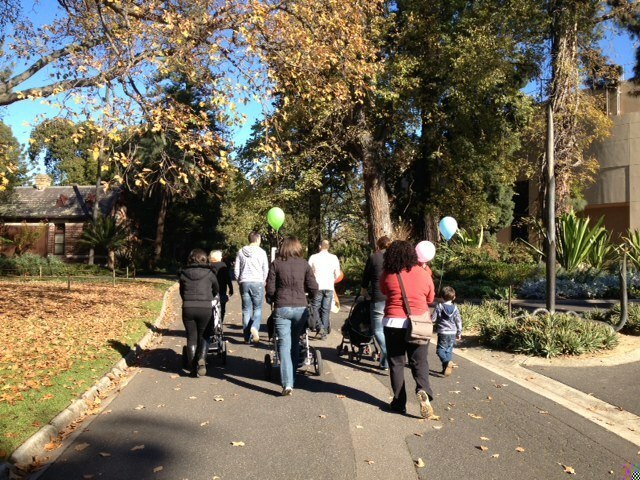 The program nurtures our mothers through opportunities such as weekend retreats and mothers’ lunches held across Victoria. 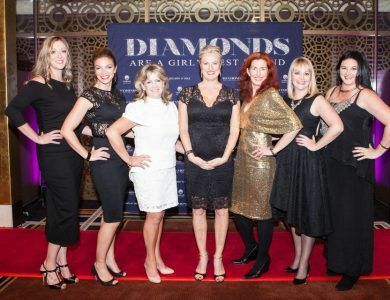 Held over several weekends throughout the year, our 'Relaxation Retreats' give a small group of Challenge mum's an opportunity to spend the weekend away together, to talk, relax and be pampered. Named in honour of Christopher Wise - a Challenge member who had an unwavering passion and zest for learning - the Christopher Wise Education Scholarship is awarded twice a year to Challenge members, aged between 5-18 years, to support them through their primary, secondary or tertiary education. 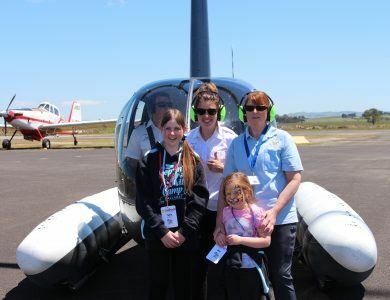 The Scaffidi Foundation Scholarship is available to patients aged between 5 and 18 years who are members of Challenge and who are attending primary or secondary school or a tertiary institution. 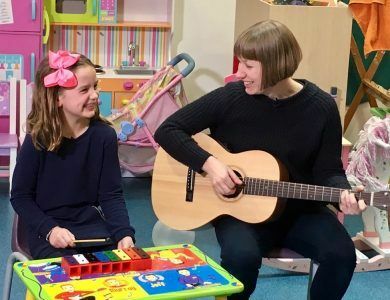 The Musical Moments Trust is offered to primary school aged children, to fund positive musical experiences for them as they move through their treatment and beyond.